Estenson, Marlyn O. age 72, of Shakopee, passed away peacefully Nov. 23, 2015. Preceded in death by parents, Oliver and Jane Estenson and sister, Donna Sutherland. Survived by loving wife of 48 years, Mary Jean; daughter, Marla Jean Estenson; brother, Wayne (Robin) Estenson; sister, Nancy (Steve) Evenson; nieces, nephews, many other relatives and friends. Marlyn was a professional horse trainer, silversmith and jewelry designer. In lieu of flowers, memorials to the family. 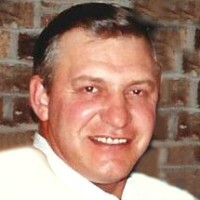 Funeral service Monday, November 30, 11 AM with visitation 1 hour prior to the service and also visitation Sunday, November 29, 3-6 PM all at: Washburn-McReavy.com Werness Brothers 952-884-8145 2300 W. Old Shakopee Rd.